to all of our patients in the fight against cancer. The state-of-the-art Don Monti Division of Oncology in Manhasset is considered one of the finest cancer care centers in the country. It is led by 23 board-certified, full-time oncologists/hematologists, plus a full staff of oncology nurses, researchers, technicians, dieticians and social workers. 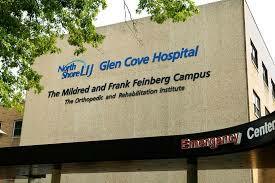 • Home to the Don Monti Bone Marrow Transplantation Unit. 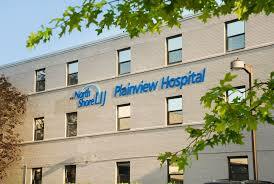 • Offers advanced radiation oncology services and linear accelerators. • Offers a unique Complimentary Alternative Therapies program, which includes, music therapy, guided imagery and other relaxation therapies. 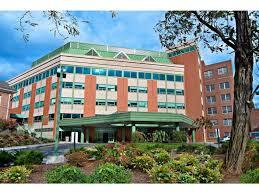 Huntington Hospital’s Don Monti Cancer Center is a comprehensive resource for cancer patients in its community. 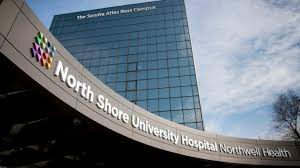 It is one of only 20 hospitals in the New York State to be designated as a Comprehensive Community Cancer Center by the American College of Surgeons Commission on Cancer. • Tita & Joseph Monti Patient Lounge abd Atrium, underwritten by a grant from the Don Monti Memorial Research Foundation, where patients and their families can relax in a warm and welcoming atmosphere. • One of the first in the area to offer Mammosite, a type of radioactive seed implantation to treat select great cancers. • General and subspecialty surgeons, who offer the latest minimally invasive approaches. • Medical oncologists who provide advanced therapies, including gene therapy, and offer access to clinical trials of newly emerging treatments. • 25 -bed inpatient oncology unit. • Dedicated Women;s Health Center. The Don Monti Cancer Center in Glen Cove offers sophisticated treatments, including inpatient oncology services, in a warm, community setting. • Scintimammography, an advanced imaging test that can detect breast cancers as small as one centimeter. • Sentinel lymph node biopsies and complex therapies that can help rid the body of excess lymphatic fluid. • Coincidence imaging, which combines nuclear medicine, camera technology and the use of radioactive tracers to identify stages of tumor growth. • Education, outreach and support programs. The Don Monti Division of Oncology in Plainview offers a wide variety of inpatient and outpatient oncology services in a comprehensive personable community setting. Uniting compassionate care with expert practice, our medical oncologists and surgeons provide current standard-of-care treatment, up-to-date surgical approaches, and access to clinical trials. Our certified oncology RNs provide chemotherapy infusions and blood product transfusions in our comfortable out-patient infusion center seven days a week from 7AM – 7PM. Our inpatient infusion unit offers oncology treatments and counseling in a warm and caring environment. Education, outreach and support programs are available to ourpatients and their families.